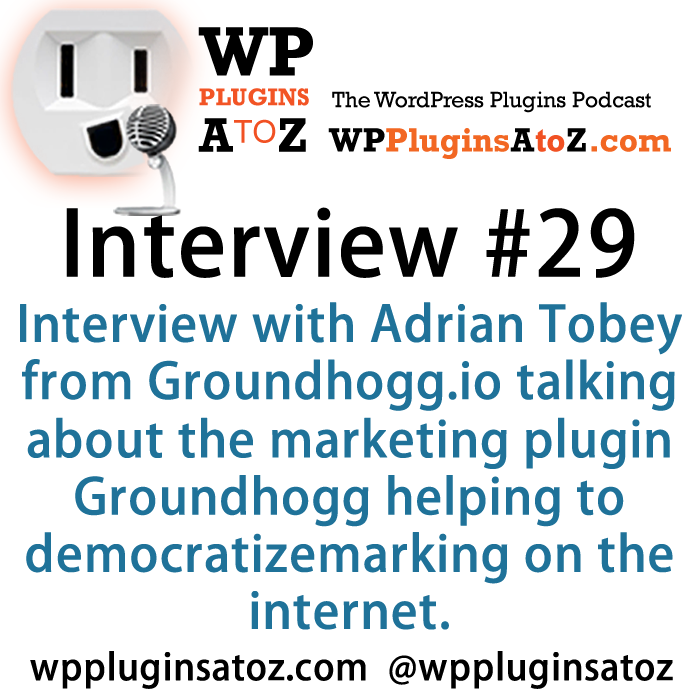 Today's interview is with Adrian Tobey, founder and developer of Groundhogg Inc. This plugin is Drag and Drop. It's built with the WordPress UI in mind and is very similar to Gutenberg. Benchmarks, which are anything someone might do on the site. It's an expansive list, from filling out forms to purchasing products and more. This plugin is for marketers, but it's designed to not be a daunting task for non-marketers. There are several pre-installed templates and funnels. Webinar registration, Abandoned Cart sequence, a campaign for getting users/customers back, Email preferences, and more on the way. These are the basic funnels with the FREE plugin.